Automatic Crimp Tester ACT-1000N (Partly in accordance with UL 486A-486B) | IMADA CO.,LTD. IMADA Automatic Crimp Tester ACT-1000N is ideal for crimp pull tests requiring high efficiency of testing and data management. 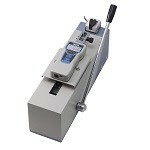 The equipped functions support your measurement without additional options. You just press the button to perform the test and to store the result. Automatically, the moving part backs to the home position after testing and the tester saves the result to the internal memory and PC. 2 modes are selectable. BREAK mode: In this mode, you can perform destructive test. 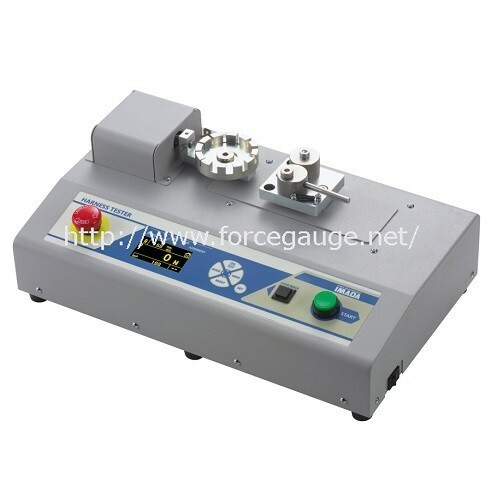 KEEP mode: In this mode, you can perform nondestructive test to apply specific force in set time. The OK/NG (Pass/Fail) result is clear to see in both test modes. The tester is capable of saving up to 26 test patterns as presetting. You can immediately recall each pattern. Smooth test condition change is possible. ACT-1000N includes the software. 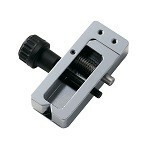 It is ideal for checking the result such as force value, OK/NG (Pass/Fail) result and each test condition. Also, the statistics such as No.of OK/ NG/ Whole values, average, etc. is automatically calculated. It is also possible for each test pattern. – UL 486A-486B(2013) “ Standard for Safety for Wire Connectors 9.3.4 Pullout test” . *You can see the application movie when you click the Standard No. 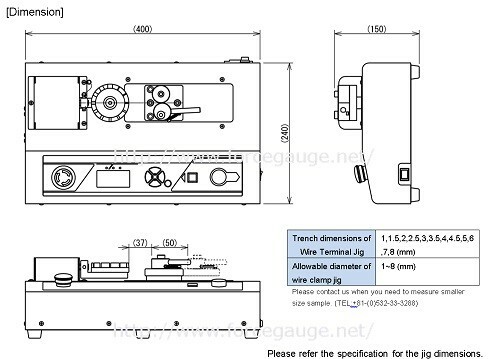 please see the movie and the configuration of Thick wire crimp pull test. Safe overload rating Approx. 150% F.S. *1 This is the specifications for International model. Please note the available unit is different from Japanese domestic model and international one.